Private cord blood company, Smart Cells, has released their 20th sample of stem cells collected from cord blood and tissue to a patient to treat autism. This is the company’s first sample to be released and infused for the condition. This release closely coincides with World Autism Awareness Day on the 2nd April, for which Smart Cells have released a simple informational guide on autism for parents. 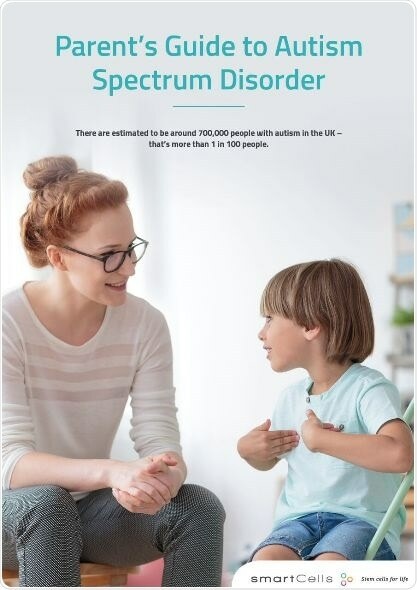 Autism Spectrum Disorder, more commonly known as simply “autism”, is a group of developmental brain disorders that affects around 700,000 people in the UK. It affects a person’s ability to read body language, understand facial expressions and communicate effectively, and also can cause repetitive, sometimes harmful, behavior. It is currently incurable but has previously only been treatable through therapy and interventions. In a breakthrough for stem cell science and the treatment of autism, Smart Cells has released their first sample to infuse in a 5 year old boy with autism at Duke University, North Carolina, USA in March 2018. With this release, they celebrate their 20th successful sample to be released to a customer from whom cord blood and tissue was collected at birth, closely following the release of a sample that was recently sent to a 3 year old girl at Duke University for a cerebral palsy treatment. Previous studies have shown that not only are the infusions safe and feasible, which is a hugely important first step in cord blood transplants, but that recipients of the transfusion have also shown improvements in the condition of autism, with reductions in symptoms such as repetitive behavior and improvements in their general behavior. The parents and researchers at Duke University noted behavioral improvements in 70% of the 25 children in the study. The rationale behind using stem cells as treatment is that it can decrease inflammation that is a consistent finding in the brain and gut of people with autism, in turn helping to alleviate their symptoms. In order to help parents who have children with autism to find support and understand the condition of autism, Smart Cells have released a simple guide to autism that breaks down the facts and stats, explains where parents can turn to find help and what treatments are currently available. It’s a huge breakthrough in the science of autism for us to release our first sample to treat the condition. There are currently further ongoing studies into using stem cells in the treatment of autism, and we expect to see even more promising and positive results in future. We hope that by showing our support for World Autism Day with our simple Parents’ Guide to Autism, we’ll also be able to help parents who don’t currently have access to this kind of medical treatment, instead guiding them to find support where they can. Posted on May 9, 2018 by Asad Abid. This entry was posted in Autism. Bookmark the permalink.